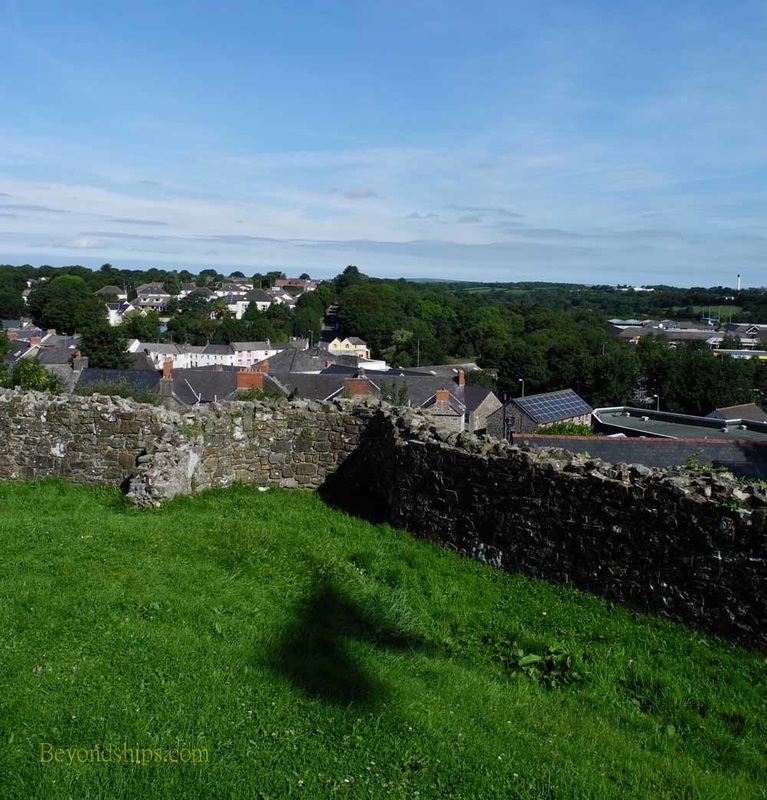 The ruins of Haverfordwest Castle sit atop a ridge and loom over the surrounding town. Even in its reduced state the castle gives off the impression of strength albeit with a touch of melancholy. There is something of a dispute as to who built the first castle here. 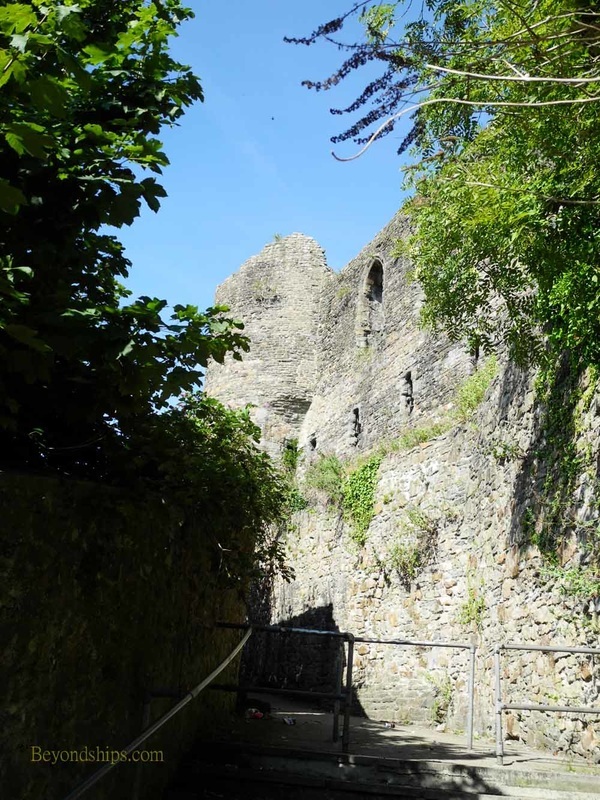 Most sources attribute the first castle to Gilbert de Clare, first Earl of Pembroke, in about 1100. Other sources, however, say that the builder was Tancred the Fleming, first lord of Haverfordwest. The original castle was a wood and earthworks construction of which little or nothing remains. In 1210, King John took the castle from the Tancred family and gave it to Sir William Marshal, third Earl of Pembroke. Marshal replaced the original fortifications with stone. A large square tower in the inner ward remains from this period. 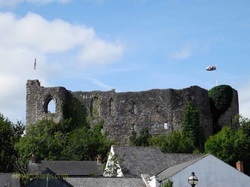 In 1286, King Edward I and Queen Eleanor of Castile visited the castle on a pilgrimage to St. David's. The Queen was so impressed that she bought the castle and then invested considerable sums in enlarging and modernizing it. Most of what remains of the castle dates from this period. In the 14th century, occupants of the castle included the Black Prince. One of the reasons for building the castle was to act as an English stronghold against the Welsh. 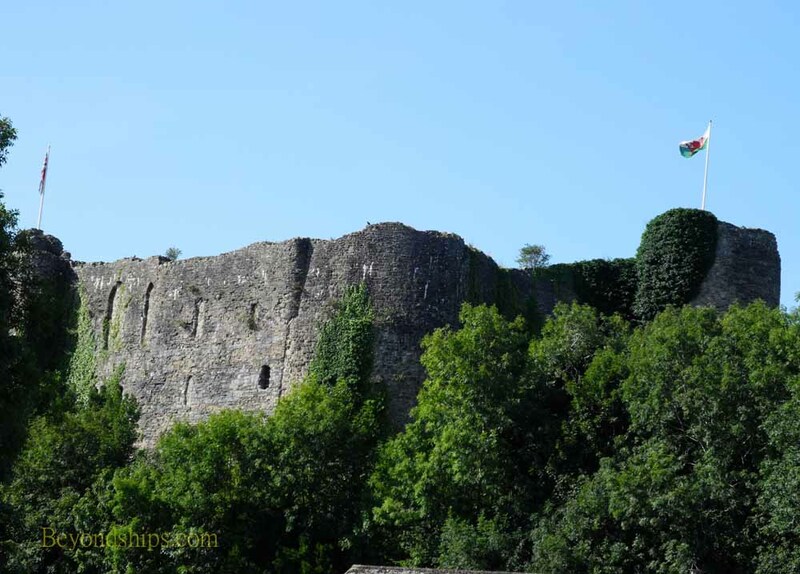 The castle withstood an attack by Llywelyn the Great in 1217 and an attack by Owain Glyndwr in 1405. During the English Civil War, the castle changed hands several times. Finally, Oliver Cromwell gave the town a choice of slighting the castle or having a garrison stationed there. This ended the castle's military usefulness. In 1779, the castle was converted into a prison. It served that function until the late 19th century. At that point, the prison buildings became town offices. The old prison governor's house is now home to the Haverford West Town Museum.